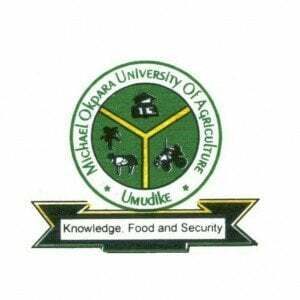 MOUAU Courses – List of undergraduate courses/programmes offered at the Michael Okpara University of Agriculture, Umudike (MOUAU). The Michael Okpara University of Agriculture, Umudike (MOUAU) is an internationally-recognized Nigerian university, and is located in the well-known Agricultural Training and Research town of Umudike, Abia State. The university is one of the three universities of agriculture in Nigeria, the other being in Makurdi (Benue State) and Abeokuta (Ogun State). Michael Okpara University of Agriculture, Umudike has been official accredited and/or recognized by the National Universities Commission (NUC), Nigeria. Do you want to find out the list of courses you can study at the Michael Okpara University of Agriculture, Umudike (MOUAU)? Below are the list of high-quality courses on offer at the Michael Okpara University of Agriculture, Umudike. See also: MOUAU Post UTME Form. when i went for jamb registration yesterday,business administration didnt seem to be valid in the list of courses mouau offers..